While your shiny new Apple Watch Series 4 can be enjoyed straight out of the box, it's a device that necessitates pairing to your phone. If you want to get the most out of this powerful smartwatch, you're going to need to make sure you take that first step and get it paired to your iPhone. Pairing your Apple Watch with any iPhone, whether it's an iPhone X, iPhone XS Max, or even an older model, is extremely simple. Here's how you can go about doing it. First, download the Watch app on your iPhone. 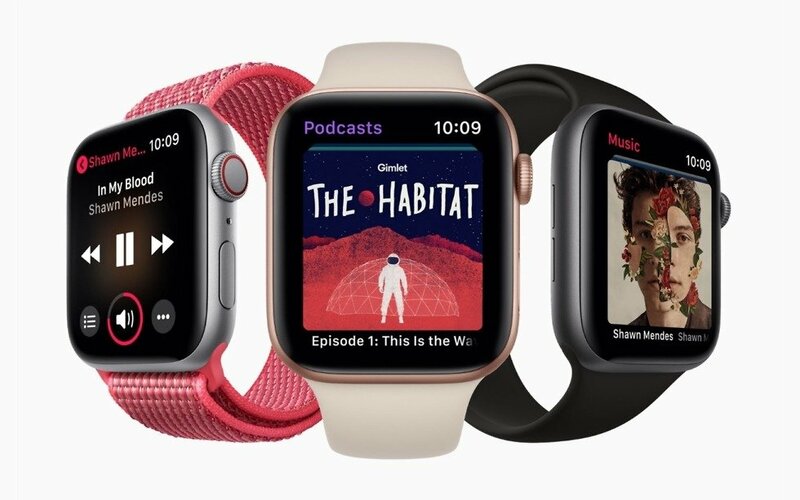 If you prefer, you can use your Watch itself and hold it near your iPhone, which will display a pairing screen that will launch the Watch app, if you don't want to do it manually. Tap the Start Pairing option to get the process underway. Line your phone up with the image of the Apple Watch in the center of the screen in the yellow square. This step can take a moment. Don't move your watch way from the area, or you may have to start over. Wait for the "Your Apple Watch is Paired" message to appear onscreen. This means the pairing was a success. From here, select whether you want to set up your Apple Watch with or without a backup from a previous device. Once the setup is complete, your Apple Watch is paired and ready to go! Sometimes, you may run into issues with automatic pairing, where your phone simply can't read your new Watch, or you may decide you prefer this way to the automatic setup. Here's an alternate way to set up your Apple Watch and pair it with your iPhone manually. Download the Watch app on your iPhone. Choose the Start Pairing option to get started. This time, choose Pair Apple Watch Manually. Look at your Apple Watch and select the "i" icon to see your Apple Watch's "name." Select your Apple Watch from the list of available devices on the menu. Wait for the "Your Apple Watch is Paired" success notification. Choose whether you want to set up your Apple Watch with a backup or from scratch. With these quick and simple steps, you should have your new Apple Watch paired with your iPhone in no time. This process should be the same across all Apple Watch generations, as long as you're starting with a fresh Apple Watch and there isn't data from someone else already on it. That may see you running into some problems. With these steps, however, you're free to enjoy all the useful features the latest Apple Watch has to offer, such as the Fall Detection feature, improved exercise tracking, and even an electrocardiogram feature. More information about these features (and plenty of others) can be found over on the Apple support website. For more Apple Watch and iPhone how-to guides, keep it tuned here to Shacknews.